The opening night of Madonna's Rebel Heart Tour, one of 2015's most highly anticipated shows, has been moved to Wednesday, September 9th in Montreal's Bell Centre. Dates originally scheduled for Miami, Atlanta and San Juan, PR have been moved to January 2016 (complete itinerary follows). As confirmed by Live Nation, Madonna's global tour promoter, tickets for previously announced Rebel Heart dates in each of these cities will be honored for newly scheduled dates. "As my fans already know, the show has to be perfect. Assembling all the elements will require more time than we realized. I apologize for any inconvenience this may cause my fans. I can promise you this show will be worth the wait. Can't wait to share it with all my Rebel Hearts out there." commented Madonna. 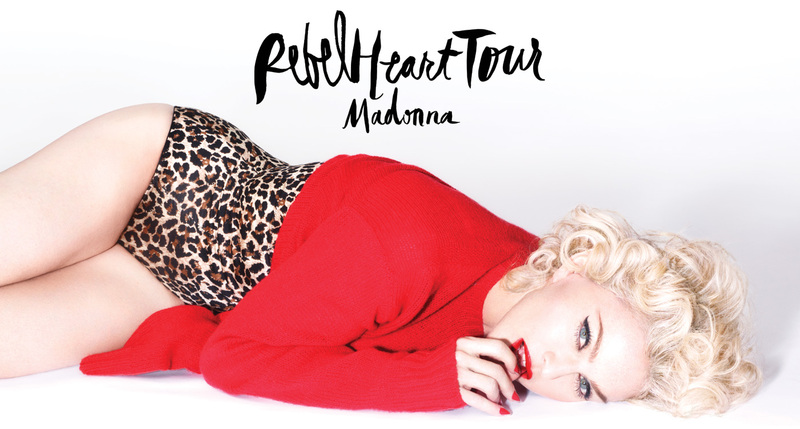 An up to date full itinerary of Rebel Heart Tour dates follows this release. Tickets for all previously scheduled performances will be honored at the new dates. Refunds if required will be available at point of purchase. *Rescheduled show date. Tickets for the previously scheduled performances will be honored at the applicable rescheduled event. For fans who purchased tickets to a San Juan show (Sept 5 or 6), you may request a refund at your original point of purchase. For additional assistance, you may contact Ticketpop Customer Service at 787-294-0001. Refund requests should be made by Friday, June 12th. I fully understand that unforseen circumstances can alter the show dates...One up side to this is that I now have another month into Jan.2016 to be super active at madonna.com....to comment and post fully...I like following M's career..